Welcome to the Northwood Orchestra!! 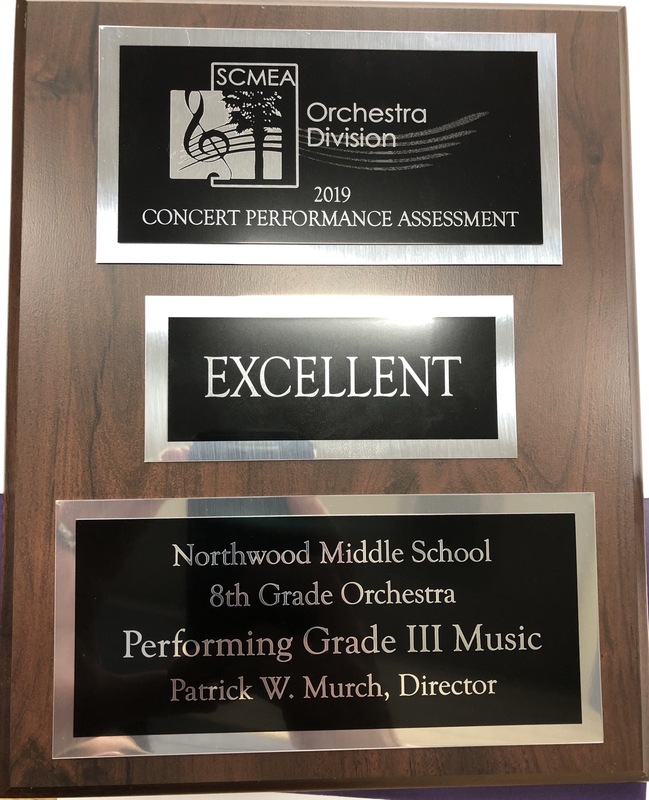 Congratulations to both our 7th & 8th Grade Orchestra both receiving an excellent rating at Concert Performance Festival!! The concert is during the school day at Bob Jones University beginning at 10:40am, so we will leave at 9:40am to load up the bus with instruments and students. The students will come back at 2:15pm. We will stop for lunch afterwards at Chic-fil-a, so students will need to bring money for lunch. All students need to turn in their $5 for Solo & Ensemble to me by this Thursday, February 28th. The event is May 3rd at Wade Hampton HS. String Students Perform for the elementary schools!! A group of 35 students are performing at four elementary schools the next weeks. The elementary students will get to ask questions about the instruments and the string family and we will perform some great music for them to enjoy!! Thursday, February 7th - Brook Glenn Elementary school - depart at 8:40am and come back at 10:50am. We perform at 9:30am. Friday, February 8th - Brushy Creek Elementary school - depart at 12:30pm and come back at 2pm. We perform at 1:25pm. Thursday, February 14th - Mitchell Road Elementary school - depart at 12:30pm and come back at 2pm. We perform at 1:20pm. Friday, February 15th - Buena Vista Elementary school - depart at 9:40am and come back at 1:30pm. We perform for each lunch period 2-3 times. Congratulations to our Region Orchestra Students!! The concert will be held at Furman University at McAlister Auditorium on November 10th at 5pm. It is free and open to the public. Performances at the Nursing Homes were great!! Our December 4th Winter Concert was a big success!! Students have a playing test on #33 from the Essential Elements book 1. Students can play the song in class or record it using flipgrid.com by clicking this link. 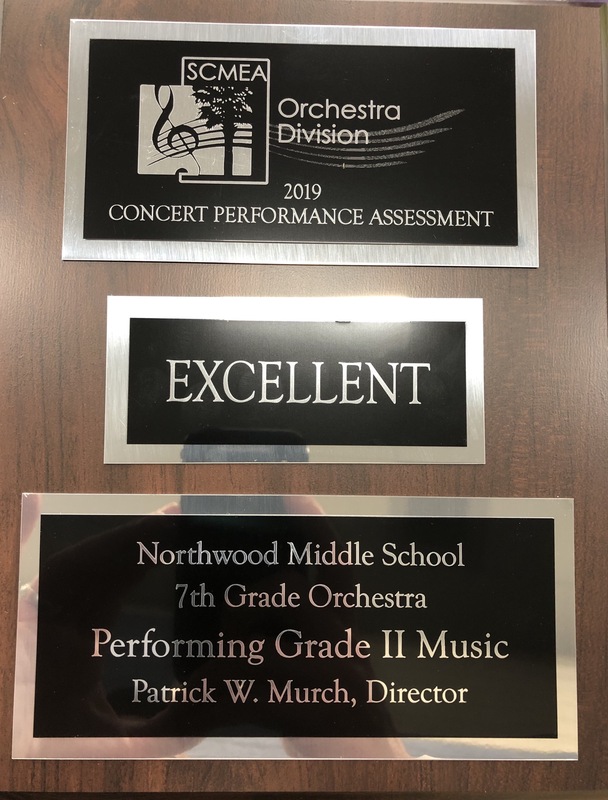 6th Grade Strings Rental and information meeting Tuesday, August 21 at 6:30pm in the northwood cafetorium!! 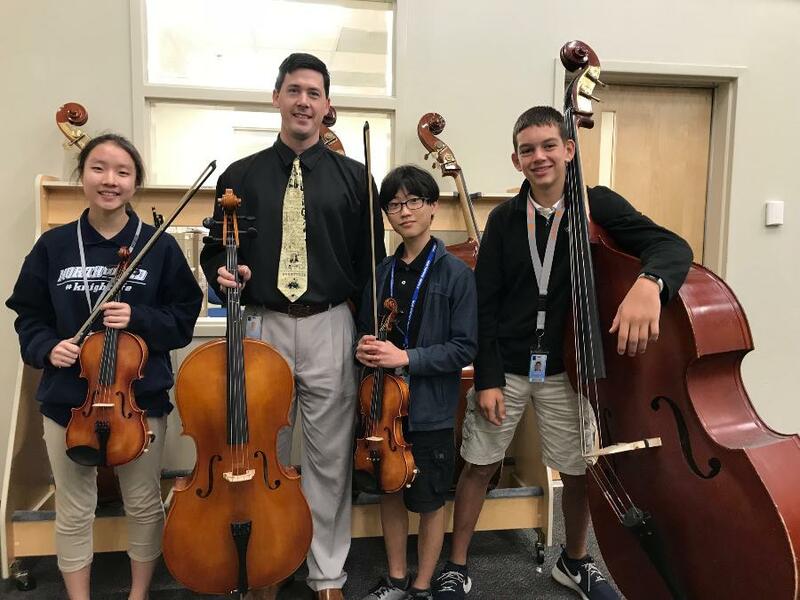 We will have one of our local strings specialty vendors, Bernhardt House of Violins, come to measure each student for the instrument they will play in strings. Bernhardt will also carry the music books you will need for all grades (6th, 7th, & 8th). I will share information about the year and what to expect. Solo & Ensemble is on Friday, May 3rd at Wade Hampton High School!! Congratulations to our students who made All-state orchestra!! The concert was held at Lexington High School on Sunday, February 24th. The students did an outstanding job!! 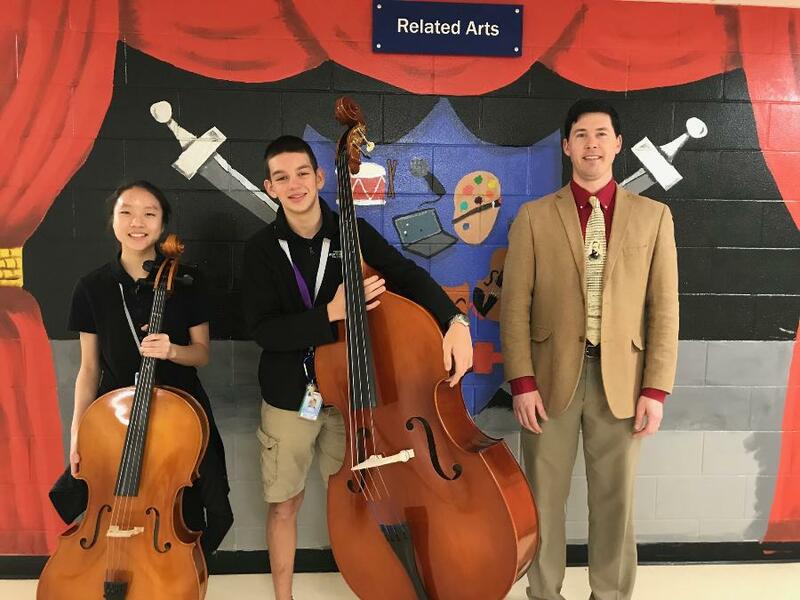 Congratulations to our All-County Orchestra Students!! The concert is on January 24th, 2019 at Wade Hampton High School. Our fall concert was a success!! Our Fall Concert was October 25th at 6pm in the Northwood Cafetorium and it featured the 7th & 8th grade orchestras. Video footage will be posted here shortly. Click Here to see the Video. Students have a playing test from their piece of music, Midnight Howl. Students can play it in class or record it using this link on their chromebooks. Students have a playing test from their new piece of music, Adventure On the High Seas. 8th Grade orchestra students have a playing test on #12 C Major Review on Thursday and friday.